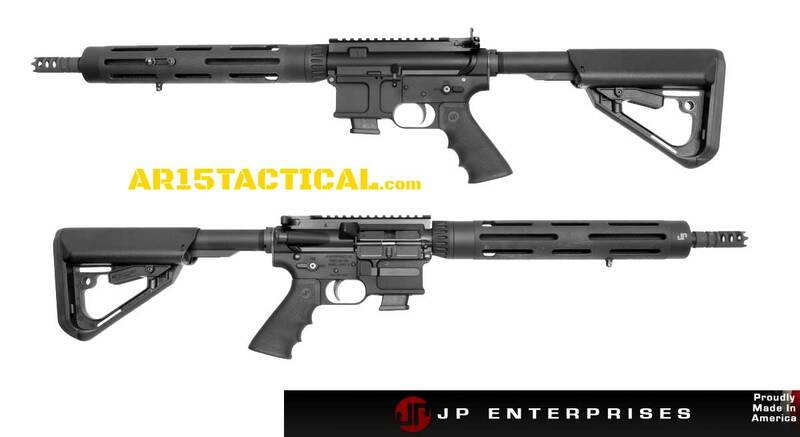 There are many companies manufacturing or assembling AR-15’s but very few have the knowledge and understanding of the platform like JP Rifles and particularly John Paul himself. The GMR-13 was a great 9mm AR, quite possibly the best. 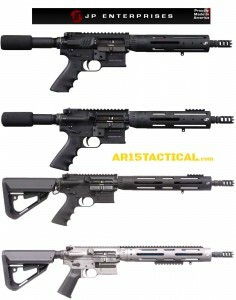 Now with the release of the GMR-15 they are taking the 9mm AR to a new level. JP Rifles best-selling GMR-13™ set their reputation in the 9mm AR carbine market as “the one that works.” With the newly redesigned JP GMR-15, they’ve taken everything that works and only added more. Last round lock back, an improved magazine release and a flared mag. well are the highlight features of this new receiver. 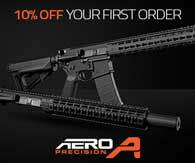 If you’re in the market for solid home defense carbine or PCC game gun now, your timing couldn’t be better. The GMR-15 9mm is a versatile platform that excels in both function and accuracy. Complete carbine builds are available with either a forged JP-15™ or GMR-15™ dual-charging upper that includes our 9mm Silent Captured Spring standard. The end result is a system that cycles with virtually no recoil. That equates to extremely fast sight recovery with solid 3 MOA accuracy from a pistol cartridge usable out to 100 yards. With the high-performance ammunition available from many manufacturers, the GMR-15™ makes a solid choice for a competitive match carbine (especially considering the cost savings of 9mm ammo over .223) and is also well-suited to home defense applications given its impressive .357 magnum-comparable ballistics with a carbine-length barrel. The lack of concussion in enclosed spaces and greatly limited over-penetration issues when compared to most rifle cartridges only enhance its suitability in this arena. Designed with the needs of law enforcement in mind, the GMR-15™ accepts the same Glock G17 pistol magazines as Glock 9mm pistols for carbine/sidearm compatibility. Complete military and law enforcement packages include our own JP select-fire trigger setup for precision trigger control in both semi- and full-auto modes. As with all JP rifles, the GMR-15™ comes with parts and service readily available from a trusted US manufacturer.